My little sister Sintija [Cynthia] always loved to dance, she joined the Riga Choreography School in Latvia when she was a young girl and was our little balerina! I remember going to concerts at her school and feeling so proud of her. She has even danced on the stage of the Latvian National Opera in the Nutcracker together with her classmates. My mum sent me her old ballet pointe shoes and I couldn’t wait to start working on them. As you can tell they were quite worn out and dirty. I cleaned them and fixed them up using some fabric mod podge. They looked almost as new, but still had some character left.. I wasn’t entirely sure on what I wanted to do, but I knew I didn’t want to change them completely.. This was a memory which I wanted to preserve. I decided to pretty them up a little using my paper flower cutter and some colour chart samples I had from the local paint shop. 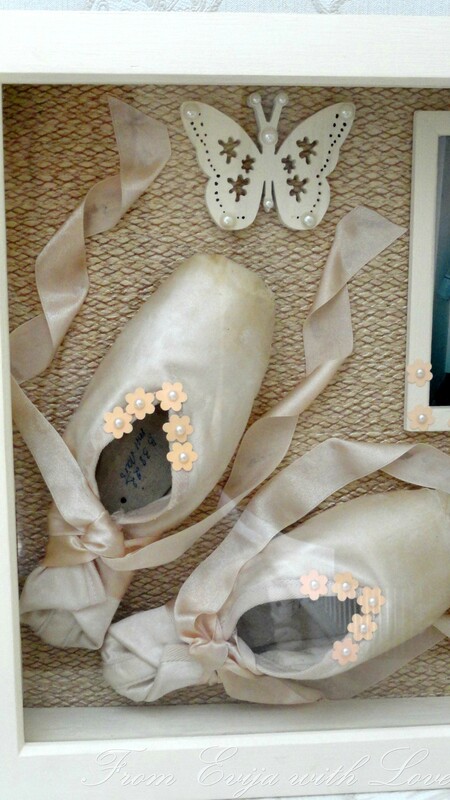 I cut out the little flowers and glued pearls on to create the small flowers, which I then glued on the pointe shoes and the little frame. I also painted the butterfly to match the frame and added some pearls. I chose to add a butterfly in the frame as butterflies are a symbol of great transformation, grace, resurrection, glory and change. My sister may no longer be dancing ballet, but she has transformed and grown into a beautiful and smart girl, who I am very proud of and I hope this frame will always remind her of that. what a lovely idea! I am sure she will love it. that is so sweet. i love how you put it all together! What a special gift for your sister. Great idea. It came out beautifully! What a special, heart-felt gift idea, Evija! 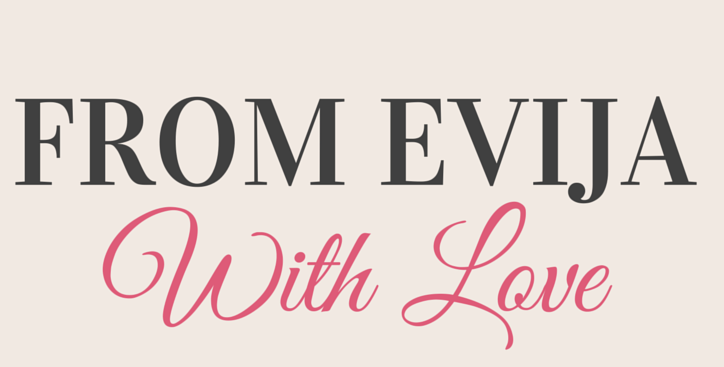 I have enjoyed co-hosting OMHG Wordless Wednesday with you…have a great week! What a great idea, you did a great job of repairing the shoes for the display and the colors (My favorite) are perfect. Thank you for Co-Hosting with me it is so nice to get to know you through blogging. Such a thoughtful gift, which I just loved. I thought it was great that you added an image alongside the items in the box. Thanks for sharing & co-hosting WW this week. See you next week. Sarah-Ann @ Living Intentionally Simple.